My dad passed when he was forty-eight. Granted he wasn’t as old as my grandparents, but it seemed like a reasonable age. Now that I am sixty-five, I have a slightly different perspective. We shared a number of similar traits. Both went into the sciences and ended up in art later in life. Both made lists. I still have the list my dad wrote out for me when I was buying my first car, essential items that needed to be in the trunk at all times. Our work ethics were similar. He gave me two screwdrivers, a hammer and a pair of pliers when I left for college. I was the only person out of sixty-five on my dorm floor who had tools of any kind. This fact led to a number of life-long friendships. We both loved gardening, although I didn’t realize it pulling weeds as a kid. I don’t ever remember Dad cooking, but he made several kinds of wine, and he made bread on Sunday mornings. My bedroom was right above the kitchen. 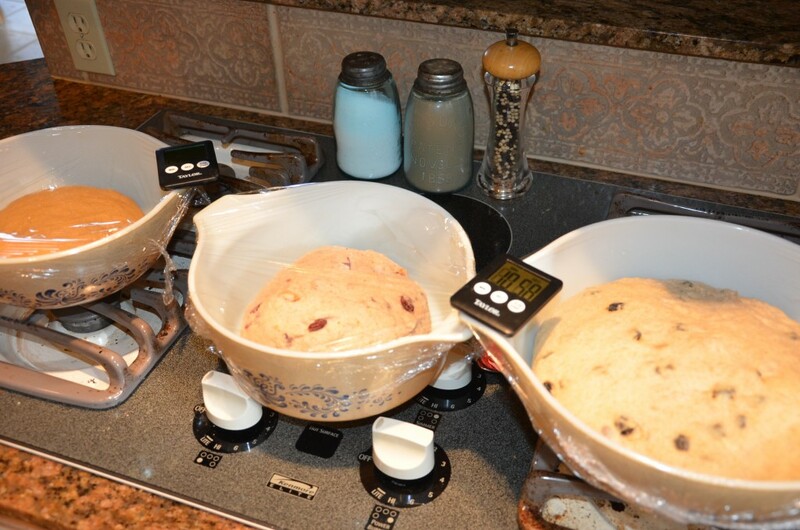 I swear, when he started to knead the dough, the pounding would rattle my old wooden bed frame. Although my first job was at a bakery and I love baking here at the B&B, I have never made a lot of yeast bread. Several years ago, one loaf won a ribbon for us at the Great Smoky Mountains Heritage Center’s Blue Ribbon County Fair- a Feta Rosemary French Bread, but any bread since has been either quick breads or rolls, or scones. On Fridays during Lent we do a meatless meal at church after services, and bread always factors into it. I decided to give it a go and signed up for a Friday in March and one in April. Made four different kinds today. Went into it with my lists. One list was the time frame of where each recipe had to be in terms of mixing, rising, kneading again, rising again and baking for each one to have its own oven and be done by 1:30PM. I was fifteen minutes late starting at 7:15AM, had a few phone calls in between and surprisingly, still managed to have the last one out of the oven by 1:23PM. The first loaf was a simple country rustic bread that required almost no kneading. Only used ¼ teaspoon of yeast and some beer but can take anywhere from 8 to 18 hours to rise the first time. That extended resting period is called autolyse. The second was an oatmeal-raisin bread. 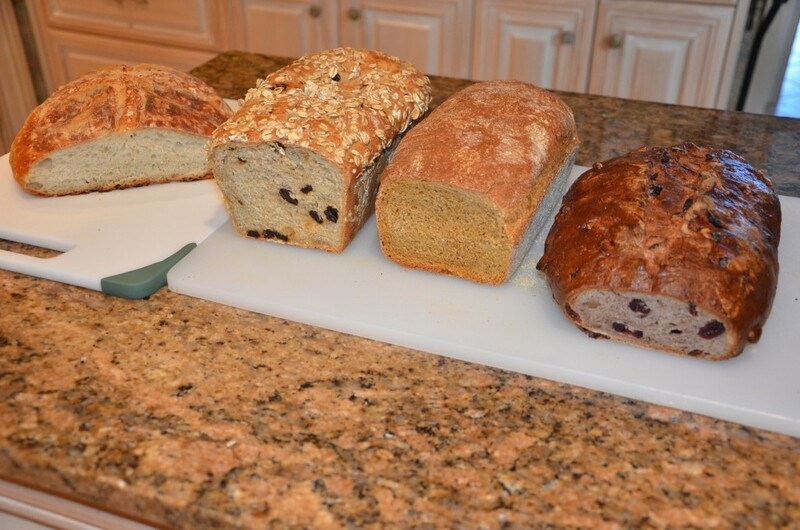 The third was a molasses and some cornmeal Anadama bread, a New England Classic, and the fourth was a cranberry-walnut loaf. Comments you are so eloquent in your writing.